What about Hebrews 7:12 that tells us the law was changed? Home > 2002 > Authors > Bible Study > Law > Law > Lynnford Beachy > March 02 > Newsletters > Questions and Answers > What about Hebrews 7:12 that tells us the law was changed? Hebrews 7:12 tells us that “the priesthood being changed, there is made of necessity a change in the law.” Today we live in the New Testament under the law of Christ; not in the Old Testament under the law of Moses. Notice the argument in Hebrews chapter seven. 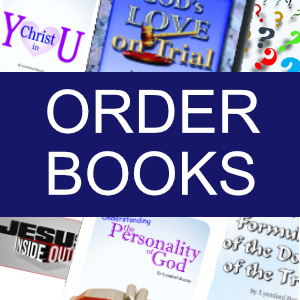 The whole chapter is taken up with arguments proving that Christ is a priest of a much higher order than the Levitical priests. The writer of Hebrews says that since the priesthood was changed there is “of necessity a change in the law.” Now, this argument could only be true and hold weight if it had reference to laws relating to the priesthood and their duties. For example, the government has written many laws relating to automobile transportation. If there becomes a new mode of transportation, entirely different than automobile transportation, whereby automobile transportation is completely done away, then there must be “of necessity a change in the law.” What law? Laws prohibiting murder? Certainly not! The only laws that “of necessity” have to be changed are the laws relating to transportation. In like manner, the only laws Paul could possibly be referring to here are laws relating to the priesthood and their duties. We are living in the New Testament under the law of God and His Christ, and not in the Old Testament under the law of Moses. This is true. The law of Moses is not the first 39 books of the Bible, often called “the Old Testament.” Notice how Jesus distinguishes the law of Moses from the rest of the books of the Old Testament. Jesus said, “These are the words which I spake unto you, while I was yet with you, that all things must be fulfilled, which were written in the law of Moses, and in the prophets, and in the psalms, concerning me.” (Luke 24:44) The “law of Moses” is the first five books of the Bible, called the Pentateuch by the Jews. In the Bible “the law of God” is not to be confused with “the law of Moses.” Moses had nothing whatever to do with the writing of the Ten Commandments. The Ten Commandments say nothing of the priesthood, the sacrificial system, or the old covenant. The Ten Commandments were written with God’s own finger and were spoken with His own lips from Mount Sinai. God said, “My covenant will I not break, nor alter the thing that is gone out of my lips.” (Psalms 89:34) God has never broken His covenant; only man has done that. Nor has He ever, or will He ever, change what is gone out of His lips. 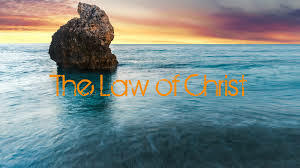 God’s law is so holy, so pure, and so unchangeable that the only way anyone could be forgiven for breaking His law is if One equal to that law would step in, to suffer the penalty for violating that law, as a substitute for the transgressor. If God could have changed His law, or relaxed its obligations, then Christ would not have had to die for our sins. Paul wrote, “Is the law then against the promises of God? God forbid: for if there had been a law given which could have given life, verily righteousness should have been by the law.” (Galatians 3:21) “I do not frustrate the grace of God: for if righteousness come by the law, then Christ is dead in vain.” (Galatians 2:21) The fact that Christ died for our sins proves conclusively that God’s law cannot be changed.